From a distance, the Prambanan Temple Complex is marked by tall pointed structures resembling cathedral spires. It is intriguing and overwhelming at the same time. The pointed architectural wonders are part of a complex of 240 temples and shrines, 18 km out of downtown Yogyakarta. Borobodur is Buddhist, Prambanan is Hindu and present day Yogyakarta (Indonesia) is predominantly Islamic. The combination of these 3 religions in one place makes a visit to Yogyakarta quite a bit more interesting. 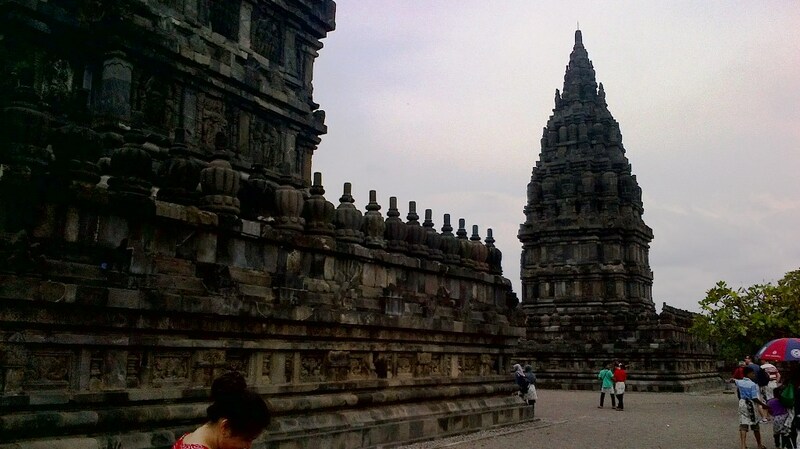 Prambanan is a Unesco World Heritage, like Borobodur but lesser known than its Buddhist counterpart. 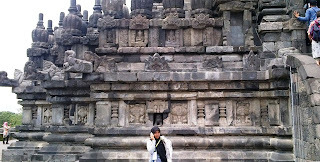 It is also a tad younger than Borobodur, built after the Hindu dynasty came back to power in Java in the 9th century. 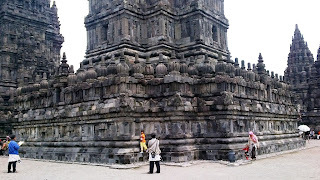 However, Prambanan and Borobodur were rediscovered at the same time two hundred years ago. 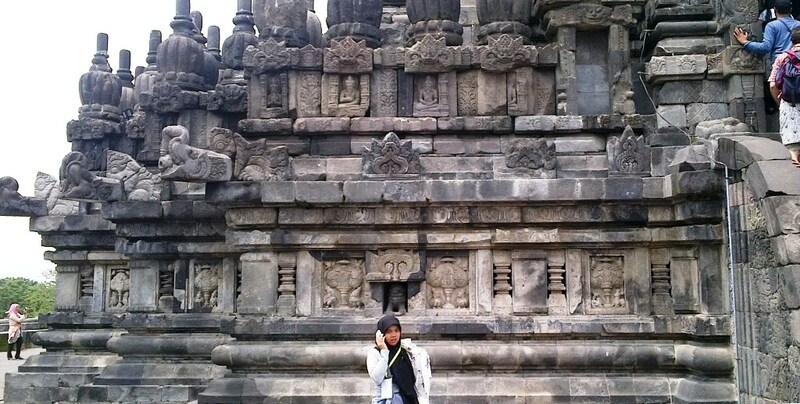 On my trip to Jogya last December, Prambanan to me was just a name place out of an online tourist information site. 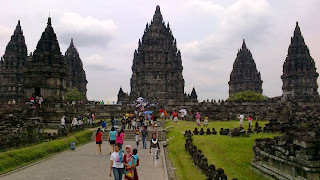 Little did I know, that Prambanan (and Borobodur) often make it in any "10 most beautiful temples in the world" list. It is difficult to describe the complex of shrines and temples in Prambanan. From what I have seen, the compound has a series of square complexes culminating in the middle of the inner zone, the main temple dedicated to Shiva. That is as much as I could understand. Understanding the significance of all the other temples and shrine can be as complex as the temple compound itself. 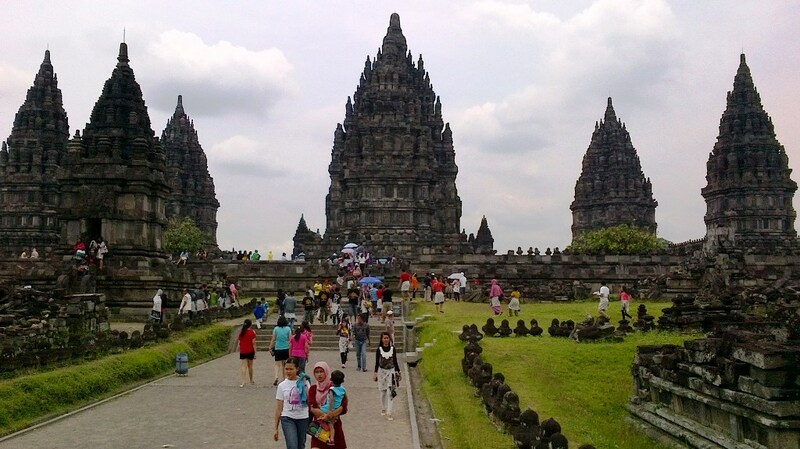 Prambanan during the Christmas week was overwhelming. It was cheek by jowl to get into the narrow opening into a small tomb-like cavern of one of the temples. The best way I could to appreciate the temples and shrines was simply to walk around them. It was take whatever impression one can without digging in too deep in meaning and bodies.